Insurance has never been this easy! Owning a small business is stressful enough without needing to worry about your business insurance coverage. At Protective Insurance Agencies, we don’t just sell you a policy. We live and work in Salisbury, NC and understand the needs of your Salisbury area business. We offer our expertise and provide you with one-on-one consulting to ensure your business is properly insured. We also work with multiple insurance carriers and guarantee to find you the best coverage at the best price. Whatever your business size, we offer policies tailored to fit. 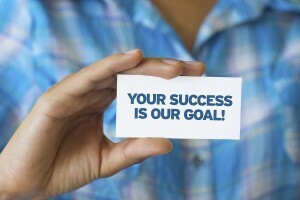 After all, when our clients are successful, so are we! Not carrying the right business insurance coverage can be catastrophic should you have a loss. That is why Protective Insurance Agencies gets to know your business and will create a custom insurance portfolio to fit your business needs. Find out why so many other North Carolina business trust Protective Insurance Agencies with their business insurance needs. One of our Salisbury Business Insurance agents will happily come to your office and review your needs. Call us today at 704-754-4157 to schedule an appointment for your no-obligation business insurance policy review.